Data protection and privacy has never been so important, and if you’re looking to keep your discarded documents as private as possible then a Fellowes shredder is the perfect addition to your home or office. There are two main types of shredder; cross cut and strip cut. 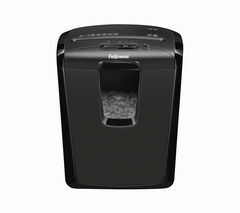 Fellowes shredders offer cross cut as standard on all of their models, with the difference being rather simple in that one shreds into strips and one into smaller pieces as it shreds across as well as down the page. 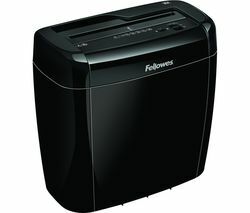 If you’re looking for maximum security then a Fellowes shredder which can micro cut is the best choice, as the machine will shred into tiny pieces making it impossible to piece documents back together. Bin capacity will also vary, so pay attention to this if you’ll be doing lots of shredding on a regular basis. Some stronger models will also be able to shred credit cards and even CDs. Our range of office shredders, designed specifically for business use, come with medium to high security levels and can shred multiple sheets at once, saving time in the working day. Our selection of Rexel shredders have some good options for the home, with prices starting under £30 to give you great value as well as reassuring security for your private documents and photos. Whether you need a shredder for your home or your office, our range has the right model for every budget and every requirement.